Many students use different social media sites to communicate and socialize with their friends and family. One media that has blown up over the years would be Snapchat. Snapchat is a fun and easy way to share pictures and videos with filters to post on a “story” throughout the day for your friends to see. 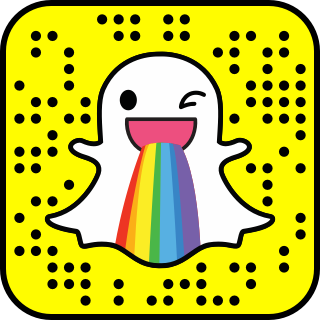 Snapchat has grown tremendously over the years. Like any other app it has it’s updates. Which means that the app makes little changes that they feel will benefit the users. In recent events Snapchat has made an update that many people weren’t too happy about. The changes are quite ridiculous. The Snapchat creators decided to not make only a few changes but to completely change the format of the app. Before the update there were three different sections when you were logged onto the app , one for messages between you and friends , one with the camera with filters and edits , and then you had the section where you can see all the stories that people have posted within 24 hours. Then on February 12, the stories were combined with the messages; users you recently interacted with will appear higher on the screen rather then the list of recent stories then you had the camera and the third section is the explore page. The format is so hard to understand. It’s very hard to find stories that were posted recently and when you watch a story it automatically plays the next one, which can get very irritating. CEO and founder Evan Spienel claims this update was due to people complaining that the app was confusing before they made the changes and thought this would be easier. Many students felt a certain way about this change. There was many different views on this. Many people use this app , even celebrities. But when this update launched one celebrity to hate it was Kylie Jenner. She tweeted on Twitter , “sooo does anyone else not open Snapchat anymore? Or is it just me… ugh this is so sad.” Once she posted this Snapchat lost a huge number of its users. Which is understandable. Snapchat is changing too many things that there’s no need to be changed. Snap was fine just the way it was. Recently, Rihanna has also started dragging Snapchat because of that horrible advertisement they posted about her domestic abuse history. Snapchat needs to wake up!